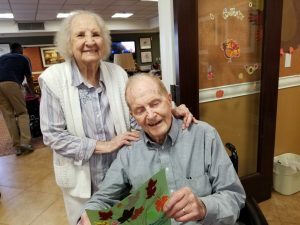 Vivian and Robert Duntsch met in Riverton, Wyoming in 1939, and love has blossomed through all the years! 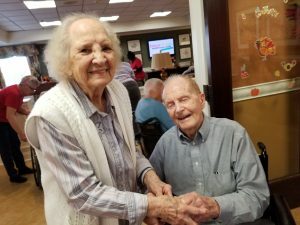 At a recent visit by “Community & Elders Program” volunteers from St Gabriel the Archangel Episcopal Church to Orchard Park Health Care Center, it was revealed that this couple had two significant celebrations this year. 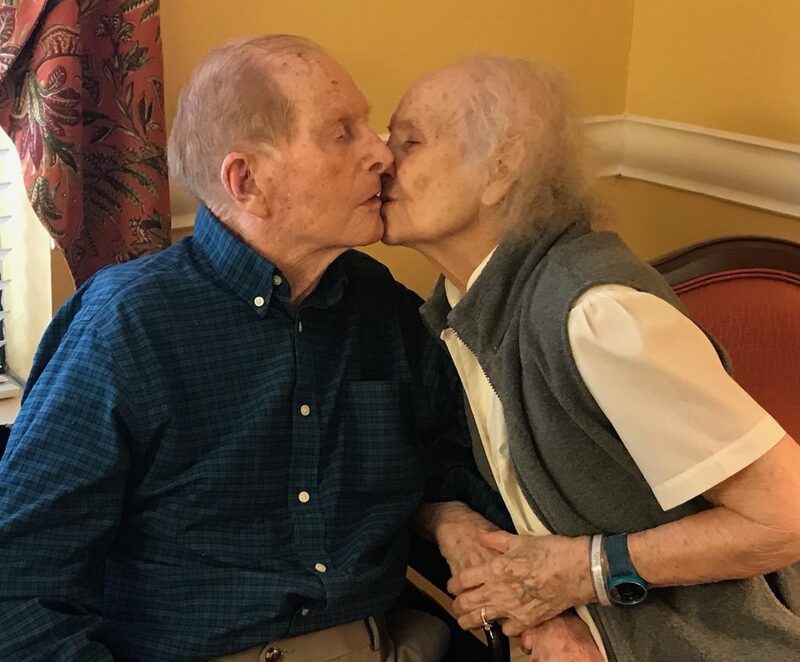 They are celebrating 75 years of marriage, and they are STILL SO in love! 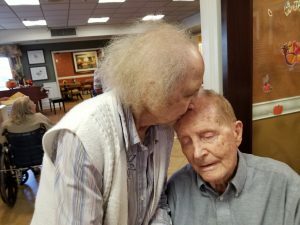 It is beautiful to see such enduring love and very special companionship. 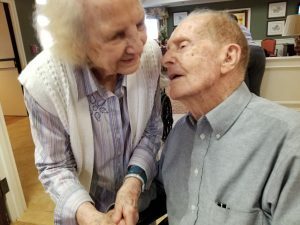 Robert is also celebrating his 100th birthday! He is now blind, but his positive personality is such a light. We thank Vivian and Robert and their son for allowing Bessie’s Hope to feature them and join in their inspirational celebrations. See Community and Elders Program and get your work place or organization involved.